Having problems with your well pump in Tenino? 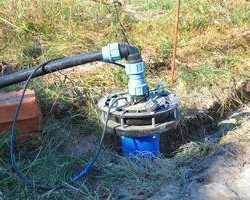 Because the well pump is responsible for bringing water into your property when you have a private well, many problems with the pump resort in having no water at all. And that’s not something that you’ll want to put up with for long! While some of these issues can be solved with basic knowledge of electrical components and how well pumps work, many times you’ll need the help of professional plumbers to come by and take a look. And at John’s Plumbing & Pumps, Inc, we can handle well pump repairs and installation in Tenino with ease. Get the job done right the first time and choose the local experts you can count on! What kinds of well repairs can I do on my own? Some of the most common problems in well pumps have a drastic effect, but a simple solution. Perhaps the easiest solution is when the circuit breaker got tripped and shut off power to the pump. 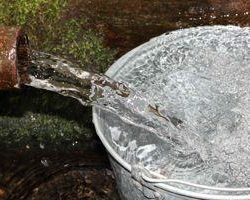 If you’re getting no water suddenly, check this first! A simple flip may solve it; just be aware that a fundamental issue may have caused the breaker to trip in the first place. DIY replacements often work for single pieces too, as long as you can find a compatible replacement and figure out how to remove the broken part and put in the new one. If not–or if it’s not obvious which part is the problem–call us up and we’ll take care of it for you. What problems can a faulty well pump cause? Low water pressure or pulsing water. If you have a significant drop in pressure or your water comes out in pulses instead of a steady stream, it’s likely the fault of your well pump. Often, this is a problem with the pressure tank, and you’ll usually need a replacement. We can find a reliable one for you. No water. As the most frustrating problem, having no water means that an important part of the pump has broken. If it isn’t the breaker, your pressure switch could be bad, the pump controller might have burnt out, or any number of things. Our plumbers can determine which part needs replacing and pick it up and install it. Dirty water or air spitting from faucets. Dirty water can be from a bad well pump or another thing such as a low water level that your pump is drawing from. You could also have problems with your pipes. If this behavior continues, call us and we’ll figure out what’s going on. We do well pump repairs and installation in Tenino and much more! Along with fixing well pumps, our plumbers can handle any other issue with your plumbing as well, including the septic tank. It’s important that the water goes where it should both coming in and exiting your property! Any problems with clogged drains, leaks, pipe bursts, and more are no problem for us. Give us a call today and let us fix it right!